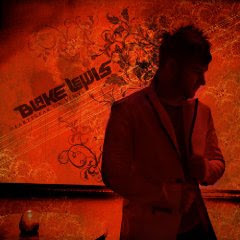 Oh, Blake Lewis. Just when the world thought she could count you out, you hit her between the eyes. The problem is, so few people appreciated you the first time around, I fear even fewer will be aware of your sophomore project to get you the attention you so ardently deserve. The title track from Blake's sophomore effort, Heartbreak On Vinyl, was leaked a few weeks back, being proclaimed as a potential choice as a second single. The mere fact that a second single was already being discussed, considering the fact that "Sad Song" hasn't even been given a chance to properly percolate since it's "release" in late July initially made me a very angry Blake fangirl. Then I heard the track and my fears were wiped away, as this is imminently more radio-friendly than "Sad Song" could ever hope to be. "Sad Song" continues to be my fave of this new Blake era, but "Heartbreak" is a serious contender for rebellion. The reason for my intense love for the song is it forgoes the obvious lyrical routes of love, loss and despair, swizzles them into one mid-tempo rehashed with dancefloor track that masks a tribute to lost love as a nostaglic longing for how things used to be. Any true audiophile can relate to this song. Finally something topical about the crushing blow that is the end of many music stores around this country. This song mourns the way music listening used to be -- when music stores were hangouts for the music enthusiasts to listen, to learn and to make new friends, be they an actual person or a musician on record. Those last two lines tug on my heartstrings everytime I hear it, because I couldn't relate more. It's like he looked inside my heart, found my mixed feelings about the state of the music industry and turned them into lyrical prose. Heartbreak on Vinyl was for people like us, and now that it's gone, where do we turn? LOVE just about everything about this song--its melody, its lyrics...the only thing I find kind of strange is him saying in interviews that it's about the Virgin Megastore in Times Square. Granted, it's a loss, but when I first heard the song, I imagined it was about the "mom & pop" record stores, for lack of a better expression. It's not bad that that was his inspiration--it just surprised me. I love that you used "swizzles" in this post. If ever a song's description needed that word, it was this one. "Heartbreak" gives me hope that he may still have some mainstream success. I also really enjoyed "Binary Love", which he previewed this week. But I am 100% with PG that this song is about a neighborhood shop, no matter what Blake says. If he's gonna mention Virgin, at least use a West Coast example that's closer to home! I would even allow Amoeba Records.